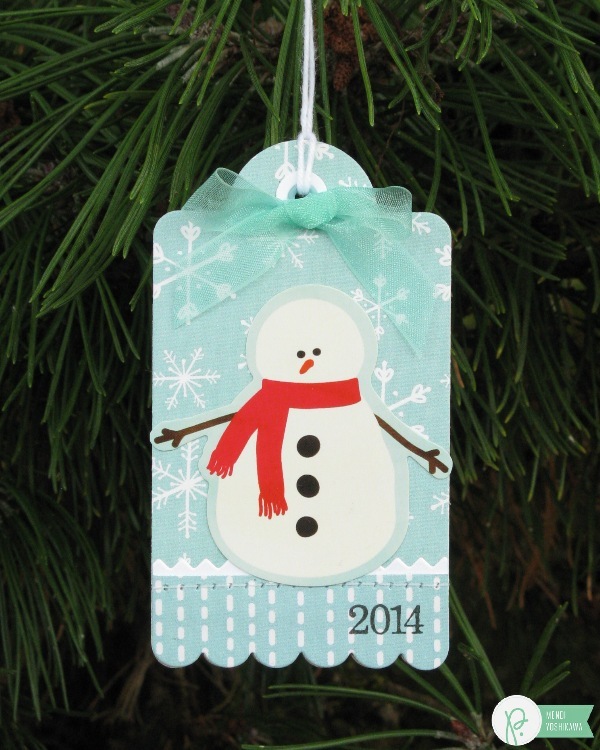 Home For Christmas Ornament Gift Tags - Pebbles, Inc.
Hello there! 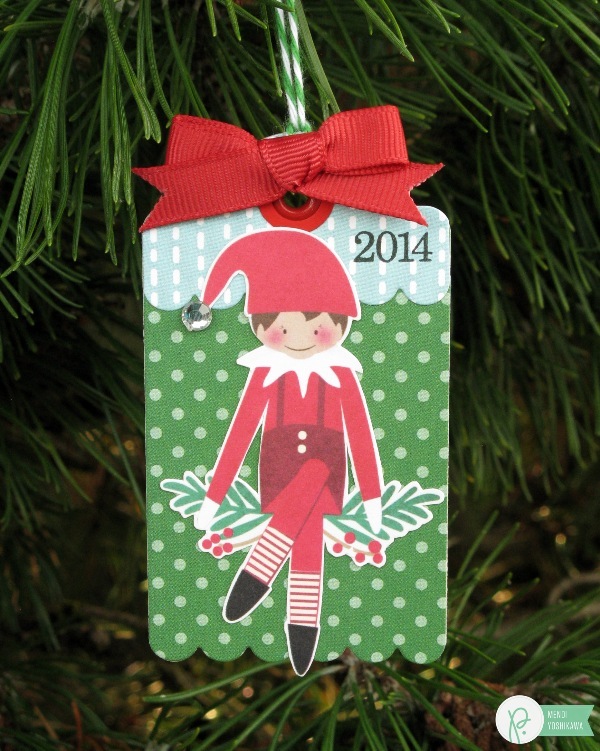 It’s Mendi here today with some Holiday tags to share that were designed to double as ornaments. I think these would be the perfect addition to tie to the top of some fresh-baked goodies for your neighbors, teachers or friends! 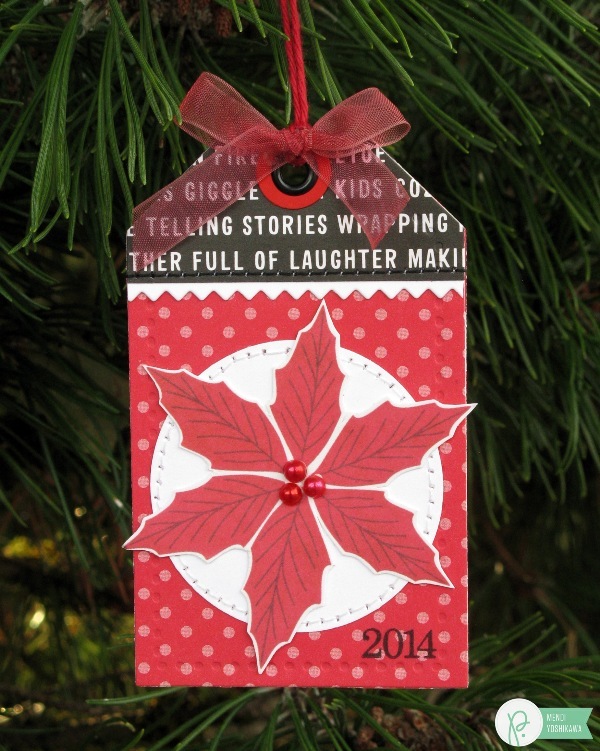 I thought it would be fun to create special cards to include with my gifts that were a bit sturdier and made to last. 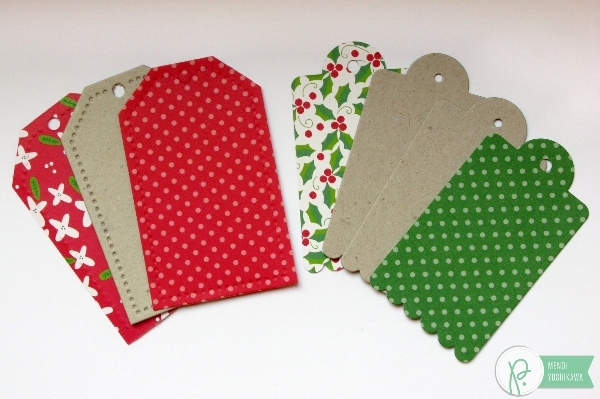 To achieve this I die-cut my tag shapes twice from my patterned paper (one for each side of the tag) and then again from chipboard to sandwich in the middle. For the tag with all straight edges I was able to cut it from a heavy cardstock and then easily take my scissors to cut along the impression for the parts that didn’t cut all the way through. For the scalloped tag I didn’t want to have to try to cut around all those curves so I cut multiple tags from a much thinner chipboard and then glued them together with a liquid adhesive. 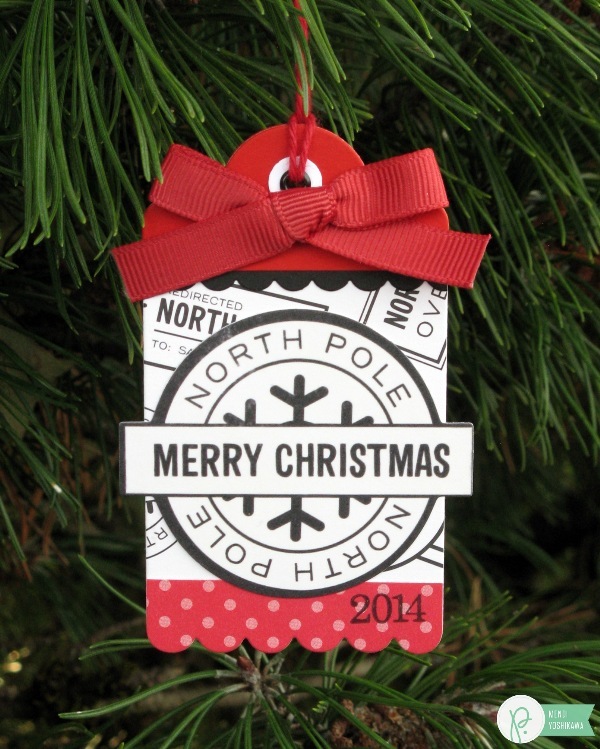 From there I was able to decorate each tag to my heart’s content. I had so much fun mixing the different patterned papers from the collection and embellishing each one with various jewels and ribbon bows. 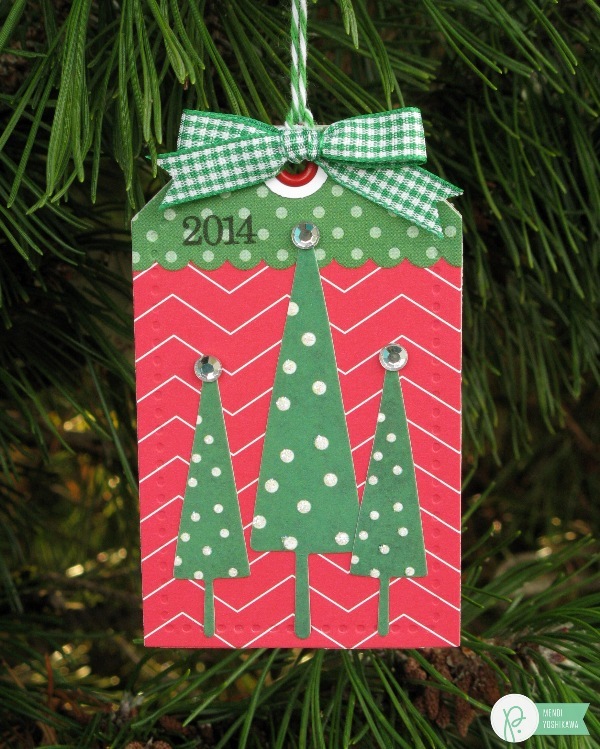 I made sure to add a date to each of my tags to make it a bit more special. You can also use the wonderful Icon & Phrase Stickers from the collection to add your “to” and “from” info to the back of each tag as well. For the tags that I stitched on, I found it easiest to embellish my tags and then glue the layers together after I had decorated them. 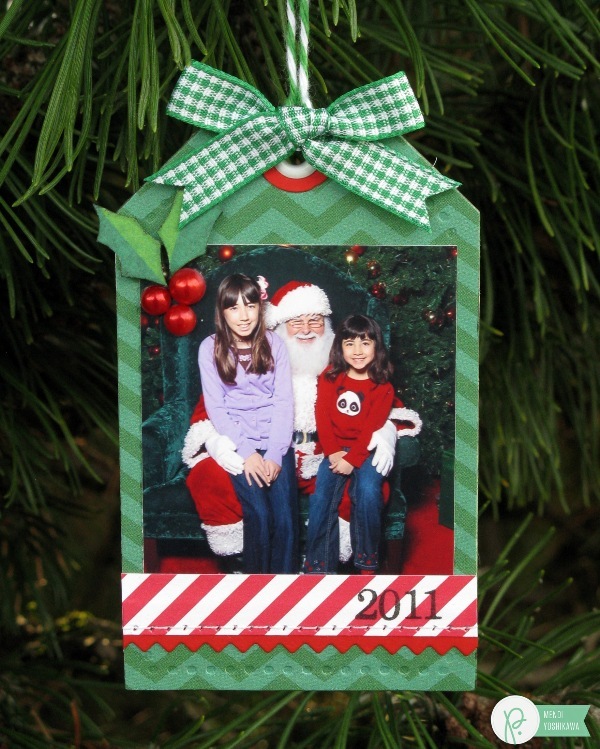 I think including a special wallet sized photo from the holiday season helps make these an even sweeter keepsake! 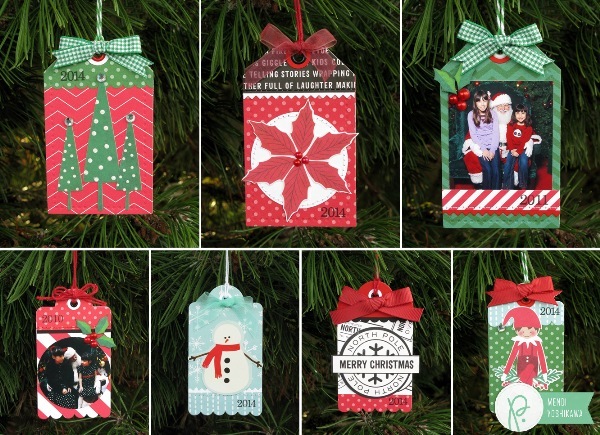 I hope I’ve inspired you to create some ornament gift tags of your own! They are the perfect rainy day activity and are a great holiday project to do with your kids as well!